The Mission of the Chowan/Perquimans Smart Start Partnership, as a regional, community-based organization, is to facilitate collaboration and coordination of comprehensive family support services for all children to maximize school preparedness and to ultimately develop future productive citizens. The Chowan/Perquimans Smart Start Partnership was founded July 7, 1998. Through our Childcare, Family Support, and Child Care Health Consultation Programs, we strive to make a positive difference in the lives of children and families. Our goal is to bring people and organizations together to work for and with children and their families, while educating families about available services, so their children will have the best possible start in life. As the implementing agency for North Carolina’s Smart Start program in Chowan and Perquimans Counties, our primary mandate is to enhance child care services delivered to children birth to age five, so that they may enter school healthy and ready to learn. In addition to working for the delivery of accessible, affordable, high quality child care, we also provide services to children birth through age five who are not in formal child care settings and their families. The Partnership currently works in collaboration with various agencies in order to deliver quality service, including, but not limited to, the Departments of Social Services in both counties, the Public Libraries in both counties, Albemarle Regional health Services, the Safe Kids Coalition, and the Local Interagency Coordinating Council. Chowan Community Foundation for $2,000. North Carolina Partnership for Children – Dolly Parton Imagination Library for $8,000. 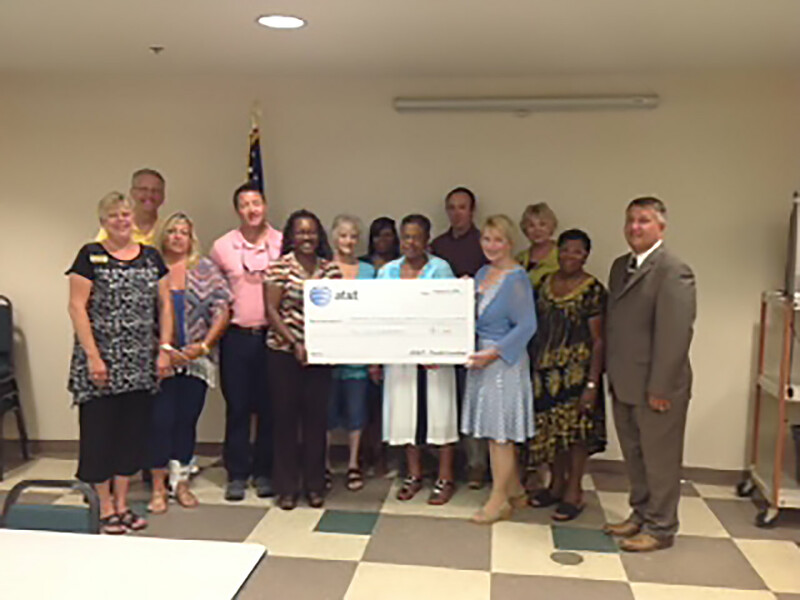 Dollar General Literacy Foundation for $2,000 for Summer Reading Program support with Shepard-Pruden Memorial Library and Perquimans County Schools.